The future is intelligent – is customer service ready for AI? At the technology behind machine learning develops it be able to provide real-time help to consumers. Customer service is an integral part of the customer journey, and brands are constantly finding new ways to up their game, to better understand consumer needs and provide that unrivalled customer experience. We are in a new age of digital customer service where on-demand help is expected 24/7, 365 days a year, often leaving customer service agents feeling stretched and exhausted. Which is where Artificial Intelligence (AI), and more specifically machine learning comes into the fold. AI is now more relevant than ever with more and more businesses investing in new technologies that connect them with their customers in real-time to provide better, more efficient services. Delivering a superior customer experience must involve a balance between the productivity and speed of tech and the empathy, emotion, and complex problem solving that humans can provide. The overall volume of interactions is rapidly increasing, as consumers have more questions about the products and services that they are using, and expect more from the brands that they deal with. Technological advances have encouraged the expectation of ‘always on, immediately answered’. Machine learning can be used to drive efficiency and speed up service. A customer may be suggested an existing answer immediately or a customer can be immediately directed to the right staff member with the relevant expertise to deal with their problem. Understanding consumer behaviour has always been central to providing a high standard of customer service. These standards are measured by how close a company can get to the consumer. With face-to-face interactions, it’s easy to interpret the motivations of the consumer. Over the phone and with online chat, it can be more challenging. On a website, which isn’t enabled with any degree of intelligence, it can be virtually impossible. Essentially, AI takes the emotion out of processes to put intelligence at the heart of the customer-organisation relationship, providing intuitive results quickly and conveniently. Organisations that implement intelligent systems which use digital interactions, such as what a customer has done on a website, what they wrote in an email or social media messages, and suggest relevant responses to agents not only help to deliver a faster, more productive service, but empower with the knowledge needed to meet customer demands. Some people are fearful that AI will render their careers obsolete and remove them from the workforce. Jobs will change, as they often do with the emergence of disruptive technology, but disruption is not the same as replacement — they’ll start to work smarter and faster alongside automation. It’s important that organisations don’t lose the human element in the rush to automate customer service and save money on personnel costs. Machine learning can be used to speed up the logistical processes but it doesn’t yet have the ability to understand human emotions and the vagaries of conversations with a customer. If businesses are to avoid the risk of alienating and losing customers, maintaining these human relationships will be critical. The purpose of AI is not to remove customer service agents, but rather to enhance their interactions with customers, eliminating monotonous tasks and freeing up valuable time. Humans will remain at the core of great customer service – but only by playing to their strengths and using artificial intelligence to augment their skills. Whilst machine learning can clearly help businesses save significant amounts of time and money, key human competencies are still needed to take full advantage of this. In the relationship economy, personal engagement and conversations rather than transactions are critical to ensuring repeat purchases and ultimate improvements. Machine learning can lay the foundations but businesses still need the humans who can build on this. Nothing annoys customers more than speaking to a customer service agent who cannot provide definitive or consistent answers to their enquiries. With the expectation that information should be easily accessed online and the consumer desire to self-serve where possible, there is a growing dislike for the need to connect with live customer support for simple matters. As exciting as bots have become, they’re not quite ready for the spotlight when it comes to all customer interactions. However, bots bring tremendous potential to specific tasks where they are particularly well suited —the level of maturity, in terms of big data and natural language processing is becoming increasingly sophisticated and capable of automating increasingly complex interactions. By using bots, companies not only augment the capability of their agents and reduce their workload, but also create much better user experiences, they do this by making it easier and convenient for customers to communicate with brands, streamlining interactions, and providing relevant information at the right time. The benefit of the latest deep learning techniques — even in circumstances where customer service requests are complex — is they’re capable of learning from a groundtruth set of accurate and positive human interactions and automate complex interactions where a customer needs an answer or action immediately. In these cases, a bot can provide a great self-service experience and free up human time to focus on interactions where they are necessary. Successful automation relies on brands actively applying the appropriate level of automation versus augmentation. 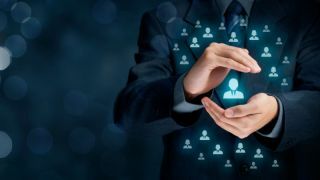 Thoughtful organisations aren’t using automation to eliminate staff, rather, they are using intelligent automation to improve workforce efficiency, leveraging existing data to anticipate the needs of their customers and serve up a much more personalised experience. There is no one size fits all for customer service, or any single platform that works for every customer and businesses need to ensure they are providing the kind of service that consumers want and need. Customers shouldn’t be restricted when it comes to the service they receive. It doesn’t have to be an either-or situation with bot or human interaction. Brands will need to bring together humans and technology, with simple interactions handled automatically by bots, and machine learning supporting agents when they are having more complex conversations with consumers. If organisations remove personal connections, at best, they risk missing critical opportunities, and at worst, damaging customer relationships. Machine learning is here to stay and for certain interactions, customers prefer the convenience of automation for its ease and speed. Machine learning and bots will become more proficient at dealing with complex enquiries, and in some cases, pre-empting customer enquiries with proactive communication. Today, consumers expect help in real-time and machine learning is enabling this as we become embedded in new channels of communication. Businesses that can embrace this change and tailor their customer experience with more proactive, instant, and targeted support will be rewarded with customer trust and loyalty.